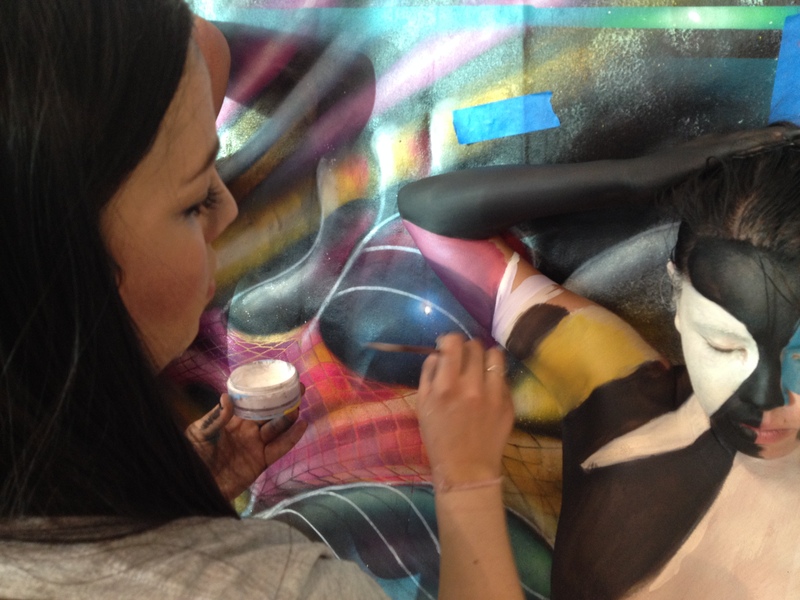 Join us for first Friday art walk and experience bodypaint first hand! 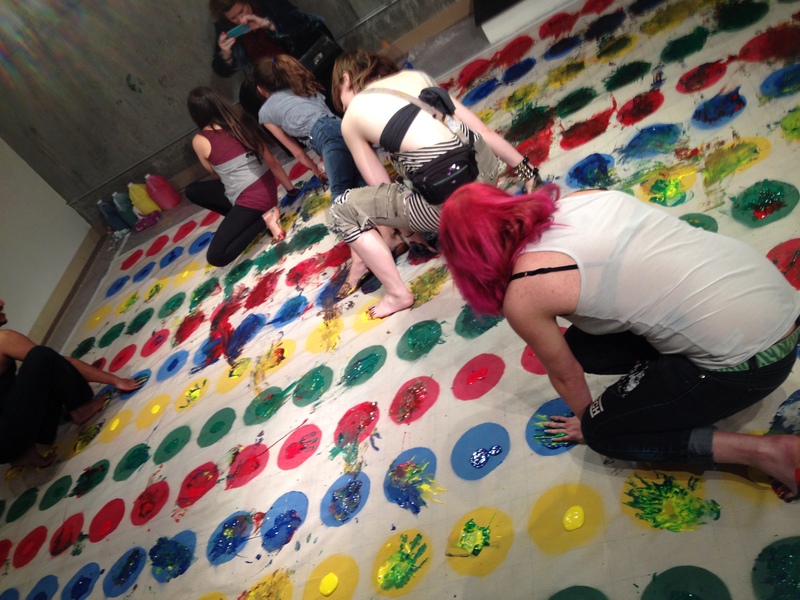 Wear clothes you don’t care about and come play messy twister with us and a life-sized, anatomically correct operation board all involving bodypaint! Also see a special bodypaint performance where our art alive galleries will become a giant skull and create an infinity sign out of painted umbrellas all to the sultry tunes of Tom Waits! 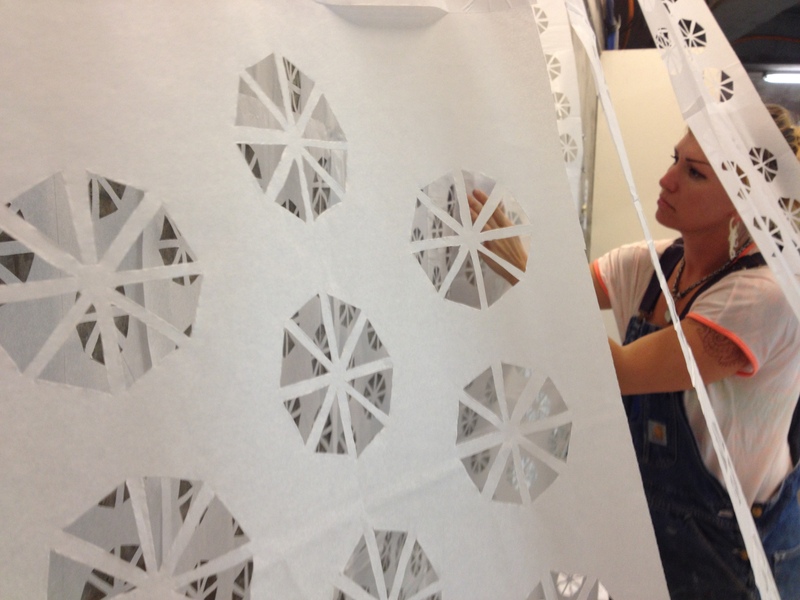 Trina and Theresa mash up to create a black and white living installation where two models will be camoflauged into the installation. This will definitely make you look twice and is a fun energetic work to see created live. In this light, delicate re-interpretation of a living sculpture, Trina and Theresa combine bodypaint and paper cutouts to create a beautiful, highly detailed piece that will enchant you and leave you staring. Live opera with Giovanna Saldana from 7 to 8pm. Explore your inner self: witness a human sculpture coming to life as Trina creates a temple out of human bodies and come participate with Theresa as she makes a mandala live. 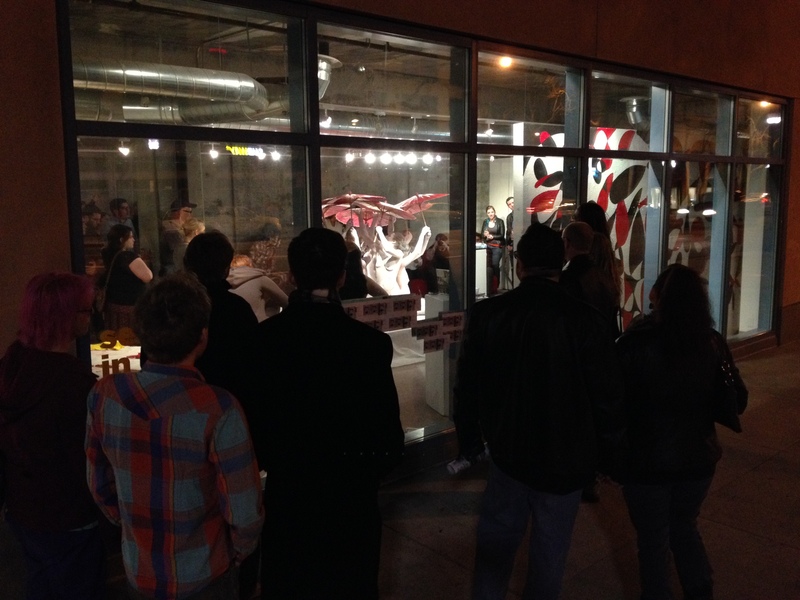 Come train alongside our awesome art alive gallery models and try out performance art for yourself. This is a great way to meet and connect with the art alive gallery team on a meaningful level. “Reflections” today we explore the concept of reflections. How do we see ourselves in others? How do we reflect our environments? How are we connected and reflected? Come see our beautiful living installation and performance art that delves deeper into the psyche. Enjoy a special collaboration with Santa Clara County Poet Laureate David Perez. “Objectified” Our role as humans living in an urban lifestyle seems to be following the trends of our peers, our community, and the media we are fed. Is this our job? We do have choices, right? Do the living spaces that surround us own us or do we own them? Our Objectified series poses these questions and allows viewers to come up with answers by creating a conversation within the self. What is all this stuff in my living space and why do I choose these material items? There seems to be a sort of cohesive relationship built between animate and inanimate objects in the home. We want to entice you to explore four powerful examples of common living spaces that will come alive through human models fashioned with body paint. All people who join as new members of Works/San José during the month of March will receive a special signed 5”x7″ print from the “Objectified” series.